When you come into RHRLI for a consultation, we know that you may be nervous about what lies ahead. If you’re looking for a permanent solution to hair loss or thinning hair, we want to ease those concerns, which is why we offer the best solution available for those suffering from hair loss or thinning hair. It’s called the ARTAS® procedure and it uses FDA-approved robotic technology to give you a healthy head of hair. We also know that you want your hair transplant to be safe and performed by ethical medical professionals. RHRLI wants our patients to be comfortable with every aspect of their treatment. We meet with all of our patients and take you through every step of your treatment. 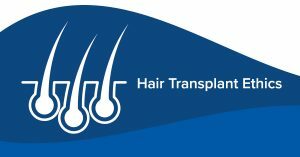 We also want to tell you about what you need to know about hair transplant ethics so you’ll feel comfortable with your treatment and see the difference between RHRLI and other treatment centers. Your first, and most important, ethical consideration comes in choosing a doctor. And you should make certain that the person performing your hair transplant is, in fact, a doctor. You never have to worry about this with RHRLI. All of our robotic hair transplants are conducted by our board-certified surgeon, Dr. Baiju Gohil. Dr. Gohil has been practicing for more than a decade and is also a Fellow of the American College of Surgeons. He meets with every single one of our patients and he is assisted by a skilled patient-oriented staff. Avoid referrals from your dermatologist or family practitioner unless they’ve had personal experience with the surgeon. Avoid referrals from hair stylists. Avoid hair treatment centers who advertise on TV infomercials. Many are “hair mills” which only care about profits. The International Alliance of Hair Restoration Surgeons (IAHRS) has published a code of ethics which they say “defines the essentials of honorable behavior for the physician.” Among the ethical principles they spell out are members acknowledging that patients should be their first concern and they should be “honest, respectful and compassionate towards patients, taking into account the emotional distress related to hair loss.” Members should not be influenced by political pressures, nor should they provide treatments that are pointless or harmful. Hair transplant surgeons should not take emotional or financial advantage of their patients and must consider the emotional well being of all of their patients. They must maintain truth and integrity in all advertising. Hair surgeons must always continue to study and advance their knowledge in their field. RHRLI can provide patients with a virtually pain-free hair transplant procedure. We’re the only hair loss treatment center on Long Island with the ARTAS® system. We’ll explain every step of the procedure which uses robotic technology to identify healthy donor hairs and put them where they are needed. For a consultation, contact RHRLI today. Previous Post: « What is Hair Cloning?